July was the month of Mondrian and Lichtenstein color inspirations and designs. I loved the colors individually; Love Red is the perfect coral red, sizzle was so similar to Mac N Cheese from 2008ish which I love pairing with Soot. Spry Blue detailing on Love Red shorts for some reason are the colors I think about when I think about the Lululemon brand – there is something very nostalgically lululemon about those colors for me. I don’t know if it reminds me of their manifesto, of a retro design, of a first website or an old shopper….something about it is very nostalgic of the brand for me. This month I got a few Cool Racerbacks and the Track Attack Shorts but really not much else – I expected August to be a crazy month. I LOVED the Track Attack Shorts. 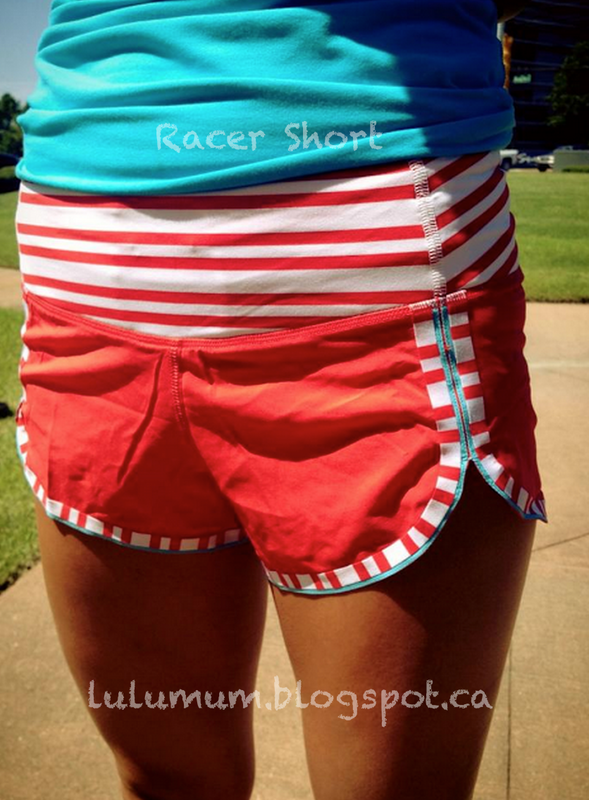 They are the first pair of lululemon shorts that worked for me and are as cute and collectable as the Speed Shorts are. Unfortunately speed shorts do not work for my body type but these Track Attack Shorts where absolutely perfect for me to wear to Crossfit in the heat of summer for someone that prefers the modesty of crops. I got the Black/White Twin Stripe pair. 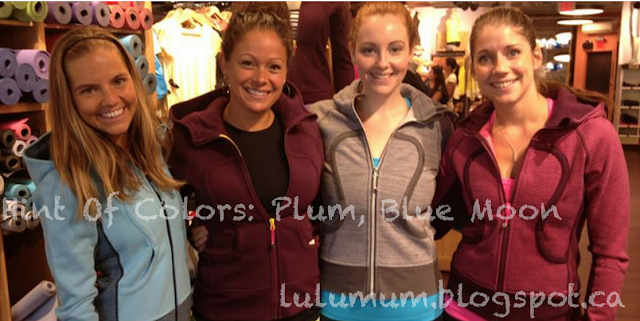 Wunder Unders luxtreme where a huge, huge hit. I really wish I’d have gotten a pair but I sort of take plain black crops for granted. 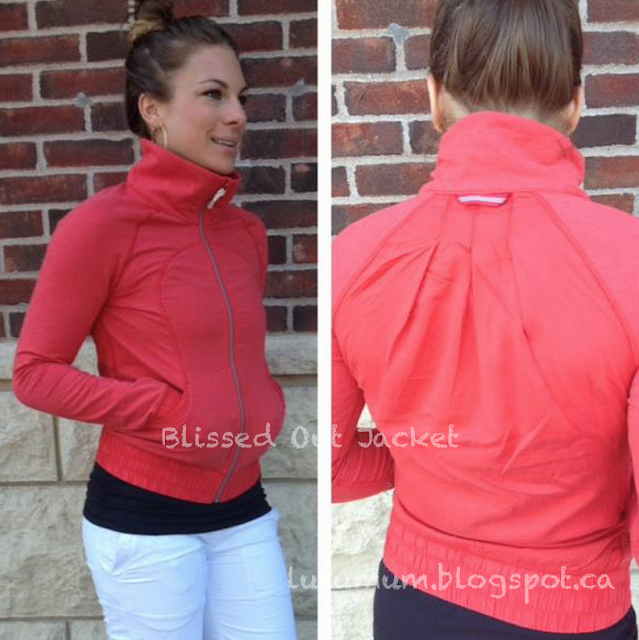 I definitely have these on my list of things to get during the lulu drought months. We started seeing hints of the fall colors to come with Plum (which we thought at the time was going to be Bordeaux again) and Blue Moon. I didn’t get anything in blue moon but I attacked Plum. The Promenade LS did not call out to me but that was the design that really had me seeing the Mondrian inspiration. I loved the Devotion LS from the prior winter and so I didn’t give these much of a chance. Blissed Out Jacket had potential but when I determined that the back was made out of tencil it was a total write off for me. I really loath tencil as it fades horribly, creases and pills. It just looks so ratty after a couple of washes that I can’t appreciate the cooling properties of the silky material. The Speedy Runsie was actually quite a cute design but unfortunately it had strange fit issues with the shorts being super tight and short and the top portion being very blousey. I can see wearing this in the black colorway on a Vegas or Hawaiian vacation where you want to look chic and put together, but casual. "12 Days Of Christmas: Day 8 – August"